The Si24PB2-MC3 consist of two normally-open push-button with 12” leads and with a small 3-Pin Molex 22-01-3037 Polarized FN Connector. This accessory is used with all Signal Digital controllers for Up and Down temperature or motor-speed settings. 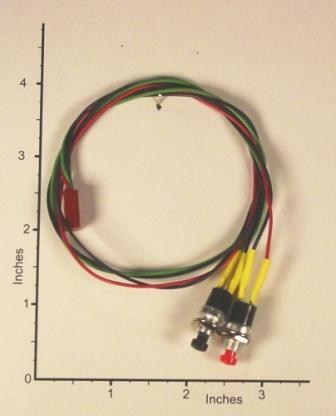 Si244PB2-MC3 , Two, Normally-Open Push-Buttons, with 12" leads and 3-Pin Molex 22-01-3037 Connector. Typical Domestic Shipping Cost: $8.00. Typical International Shipping Cost: $16.00.